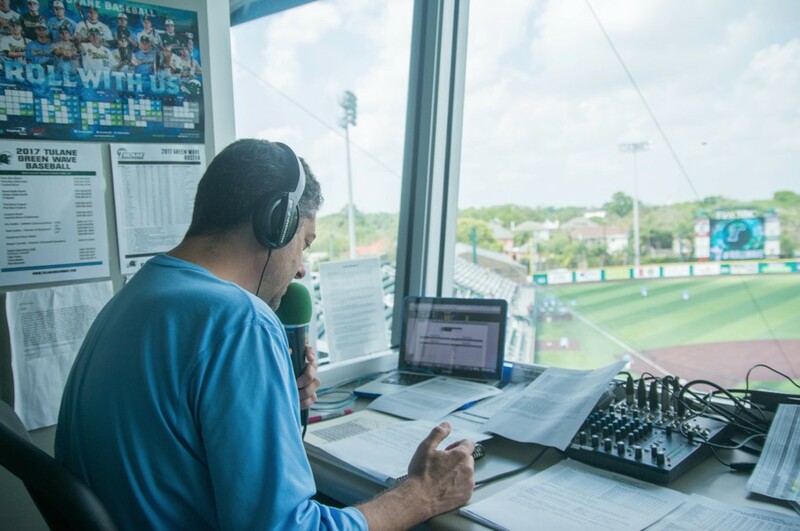 From his radio booth in the press box behind home plate, Todd Graffagnini can see every hit, strike and home run. Graffagnini calls each play with experience having performed the job for more than 20 years. Graffagnini has become the voice of Green Wave Athletics. Radio personality Todd Graffagnini, better known simply as “Graff,” has been calling Tulane sporting events for more than 20 years. Known for his energetic commentary, sassy quips, his phrase “hang them, bang them baby” and enthusiastic play-by-play, Graffagnini has become a Tulane staple. A New Orleans native, Loyola graduate and former baseball pitcher, Graffagnini dreamed of a career in sports and began practicing to be a sportscaster when he was just a boy. Starting in 1992, his audience grew beyond the confines of his living room. 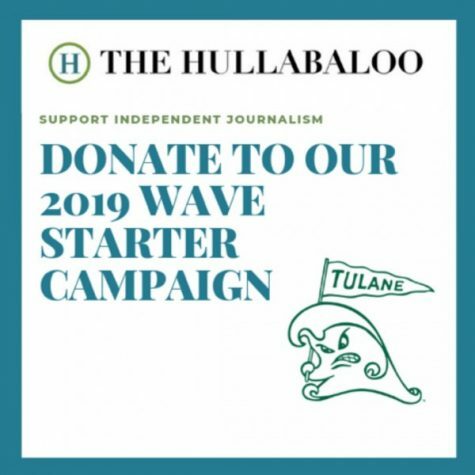 Since the fateful day in 1992, Graffagnini has worked with professional teams such as the New Orleans Hornets, now known as the Pelicans, as a studio host; the Zephyrs, now known as the Baby Cakes and participated in New Orleans’ sports talk radio. 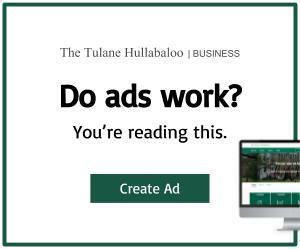 Despite these other engagements, Tulane remains his main job. Graffagnini does not wing anything and puts in hours of preparation before going on air. In the 20+ years Graffagnini has dedicated to the Wave, he has seen the players on various athletic teams grow and develop. From seeing them at practice every day to going on road games, Graffagnini is an essential part of the Tulane athletic experience. Graffagnini also witnessed some of the greatest moments in Tulane sports history over the years. Once the headphones are removed and the microphone is turned off, Graffagnini lets out laughter that immediately fills the room. When he isn’t providing sports commentary, coming up with sassy comebacks or hanging out with his daughter, he pursues his other passions. Amid the jokes and laughter, Graffagnini is appreciative every day that those childhood dreams became his reality.